Protect Your Assets: Call (510) 344-2599 Today! Growing older is inevitable, but most people assume that they have plenty of time before this day arrives. As a result, they are unprepared, causing their assets and loved ones to suffer. Wondering how you can successfully avoid this? It is simple: estate planning. 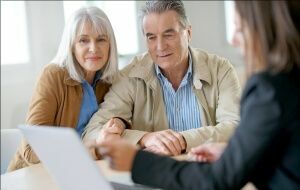 Taking the time to organize your affairs now with our Pleasanton estate planning attorney can eliminate unnecessary legal difficulties and provide the peace of mind you crave. Need assistance with estate planning? Contact us online or call (510) 344-2599 today! We believe our clients deserve high-quality representation and have made it our mission to deliver exactly that on a daily basis. No matter your age or the value of your assets, our team will work carefully to align our strategies with your goals. The knowledgeable assistance you will receive from our Pleasanton estate planning attorney is unlike what can be found at any other firm. There is no doubt that estate planning can be complex, but you don’t have to go through the process alone! Our firm is unique in that we never force our clients into cookie cutter solutions; instead, we take the time to understand where you are coming from and develop a plan customized to your needs. Your estate plan should clearly convey your wishes so that there is no confusion after you are gone. This is what our firm wants to help you achieve and the sooner you get started, the better. You never know what the future holds, but a comprehensive estate plan can help you greet your golden years with confidence. Your free consultation is just a phone call away! Get in touch with Pleasanton estate planning lawyer Hannah Sargent today.